Signature Pad custom column allows you to require end-user signature when submitting a SharePoint list form. Simply add it to your form just like any other field. Once user signs the saved item, signing user name & signing timestamp are saved. Looking at the list view you can easily notice which items have been signed and which were not, or have been updated after they were signed (signature invalidated). 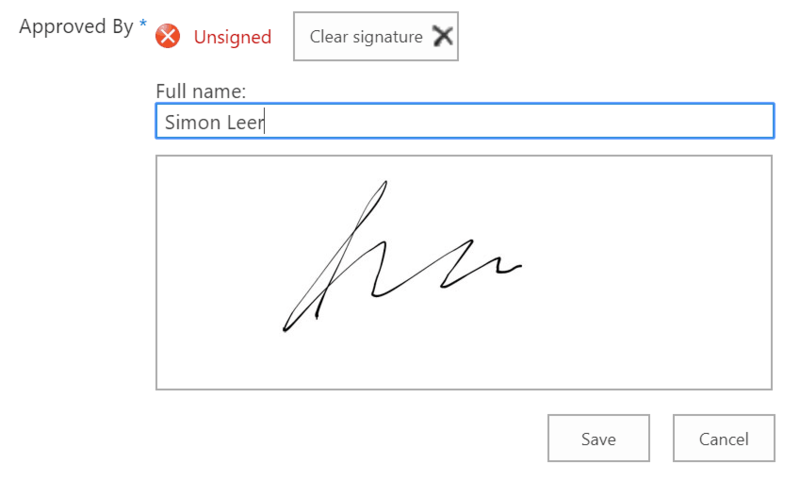 Adding a signature field to a SharePoint list is a great way to verify user input to a list especially in environments with shared-access kiosks or devices (where all users use the same login), for example: having customer sign a service report using a tablet.